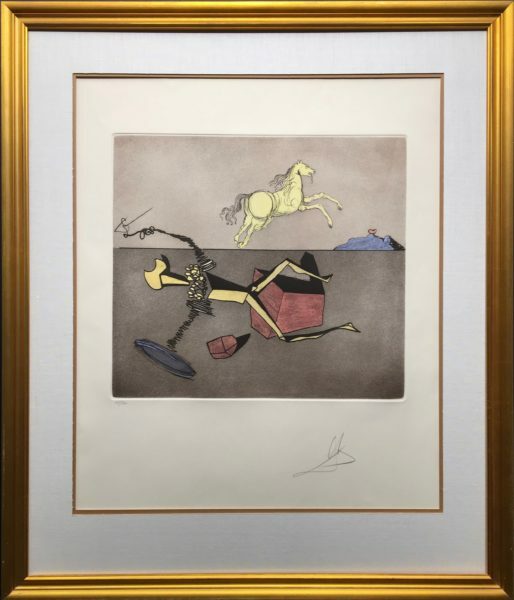 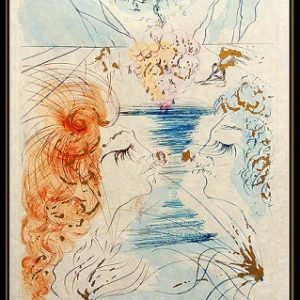 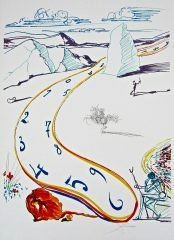 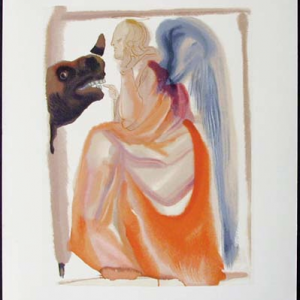 This work of art, an original signed and numbered etching is one of the most important and iconic works in Dalí’s triumphant “Historia de Don Quichotte de la Mancha” series. 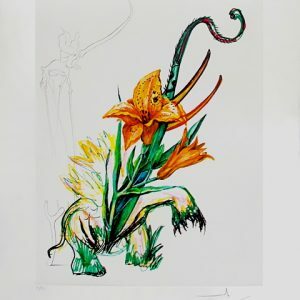 One of the more enduring subjects in Dalí’s work was Spanish literary hero Don Quixote, the title character in Miguel de Cervantes’ 17th century masterpiece. 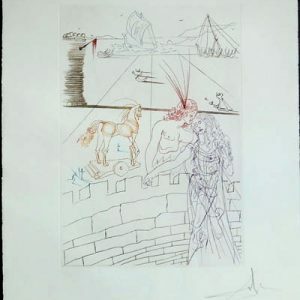 Dalí was particularly taken by, and perhaps related to, the story of the idealistic Spanish nobleman who saw himself as a knight fighting the world’s injustices, serving the causes of truth and beauty. This etching, numbered, 165 from the edition of 300 is accompanied by the original certificate of authenticity from the Collectors Guild of New York and a current certificate issued by Art Encounter.